Jacksprinter’s Sunday post is valuable. Something we find and hold near and dear to our hearts. It could be money. It could be land. It could be freedom. Or it could be memories. For me, there is nothing more valuable than my childhood memories of our annual fall trip to climb Eagle Mountain. A tradition that started a lifelong love of nature, togetherness, family, and hiking. 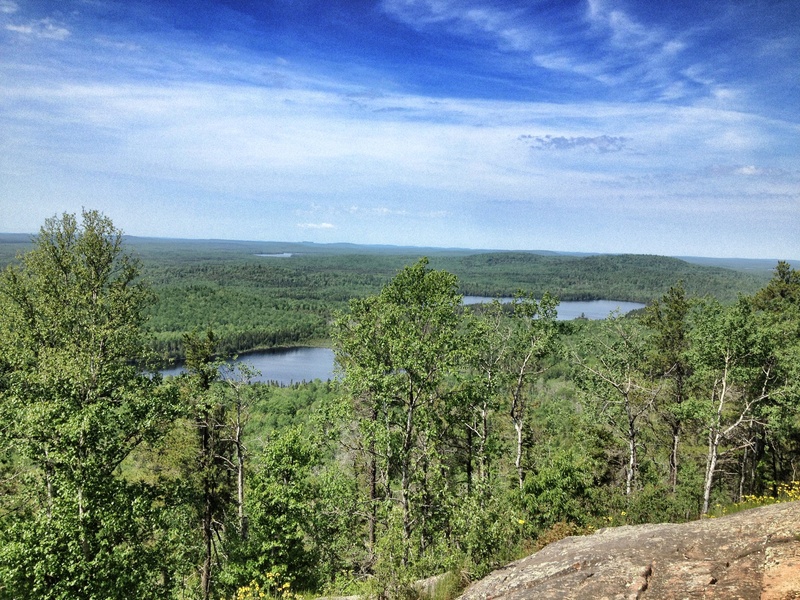 Eagle Mountain, the highest point in Minnesota, will always hold a special place in my heart. 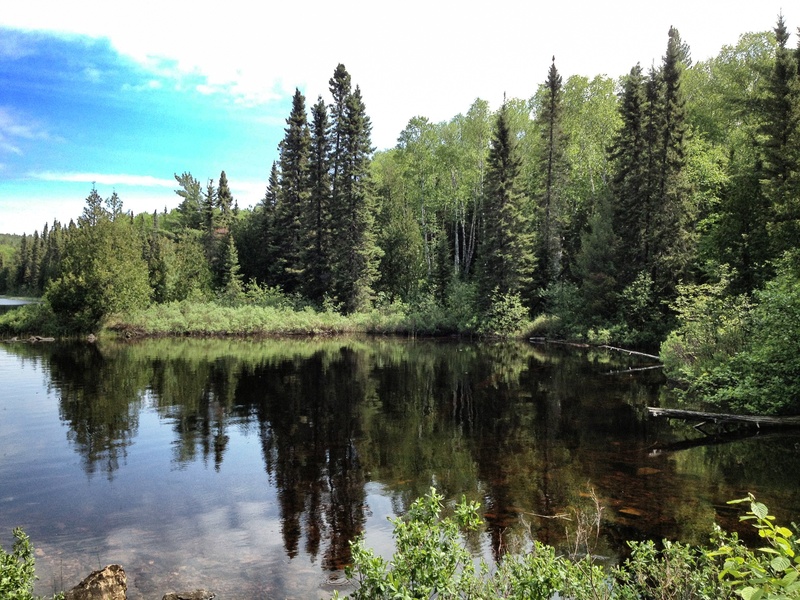 Located in the northeastern part of Minnesota at the start of the Boundary Waters Canoe Area and Wilderness, it is one of the best kept secrets in the Midwest. Pristine forests, magical untouched lakes and impressive wildlife are all the wonderful things you will find along the trail. As a child, I hiked this trail every single fall with my family, until I moved away to college. It was a family tradition that I will never forget and is held deep within my most precious, sacred memories of childhood. The fall colors once we reached the top were an artistic tapestry of brilliant hues of pumpkin orange, golden yellow and crimson red. If I close my eyes, I can almost see it now. Almost. Given the specialness of Eagle Mountain, of course we had to do the hike when we were visiting the North Shore in early June. I knew my five-year-old daughter Sophia could not make the entire hike. Luckily my mom was able and willing to take her for half a day. However, it was time to introduce my seven-year-old son Max to Eagle Mountain and share with him the joy of this beautiful place. 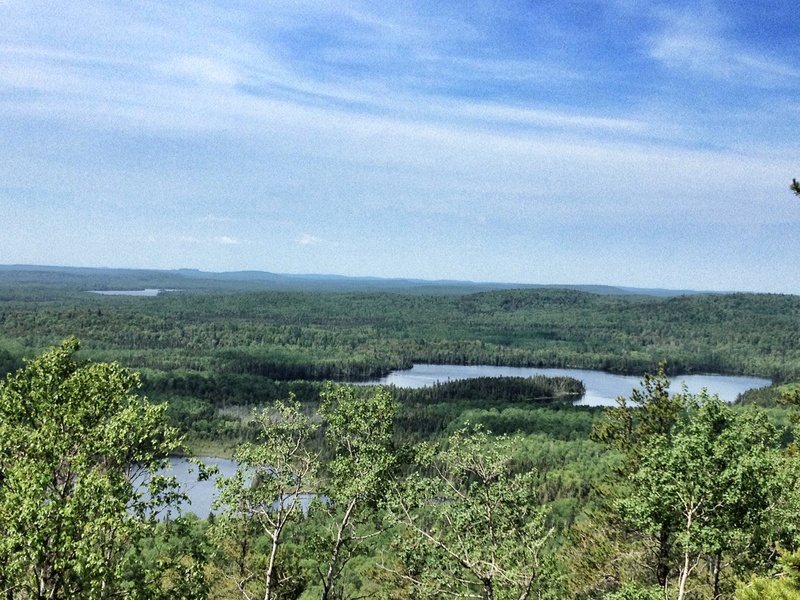 For Eagle Mountain is the hike that began my lifelong passion for trekking around the world. 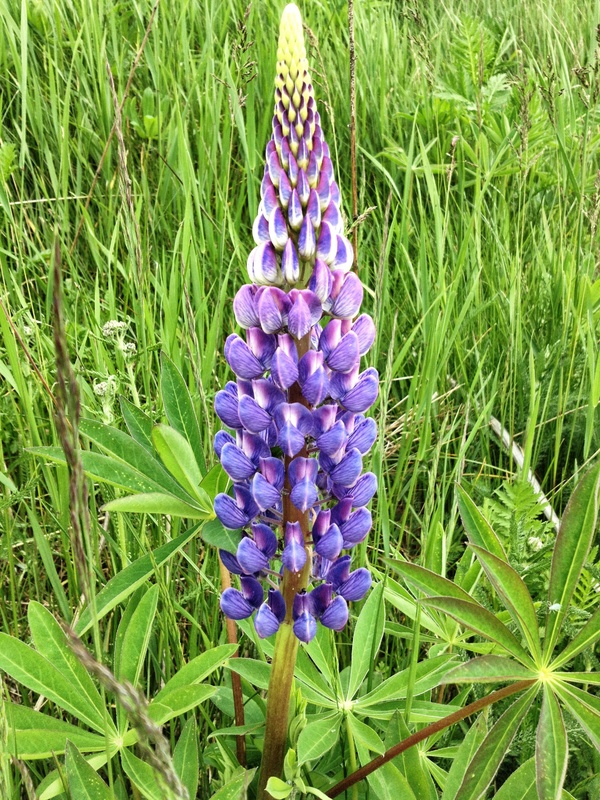 Purple lupines rim the gravel roads headed towards the trailhead. The drive to the trailhead is a long and bumpy gravel road into the wilderness. Once you leave highway 61, there is no sign of civilization save the random passing car sputtering a thick layer of brown dust throughout the air. 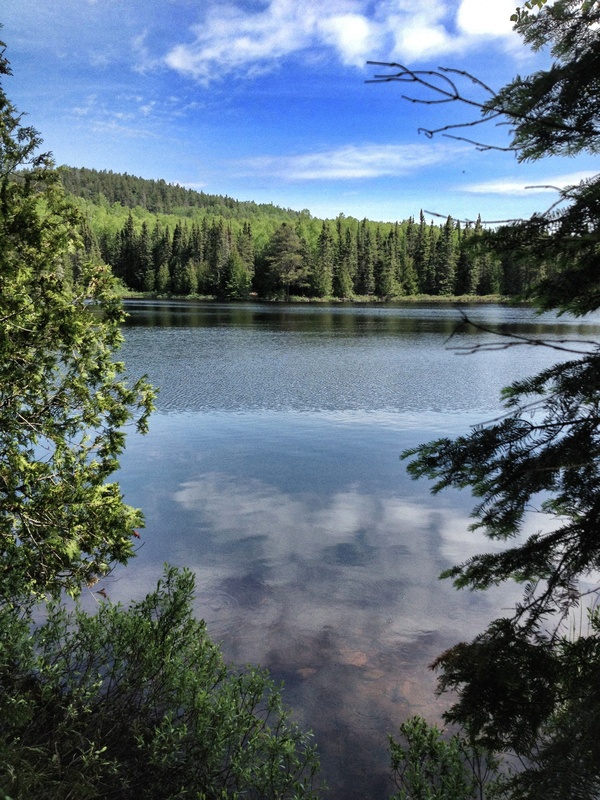 An hour later, you reach the trailhead and the start of the Boundary Waters Wilderness and Canoe Area, some of the most pure land in all of the country. 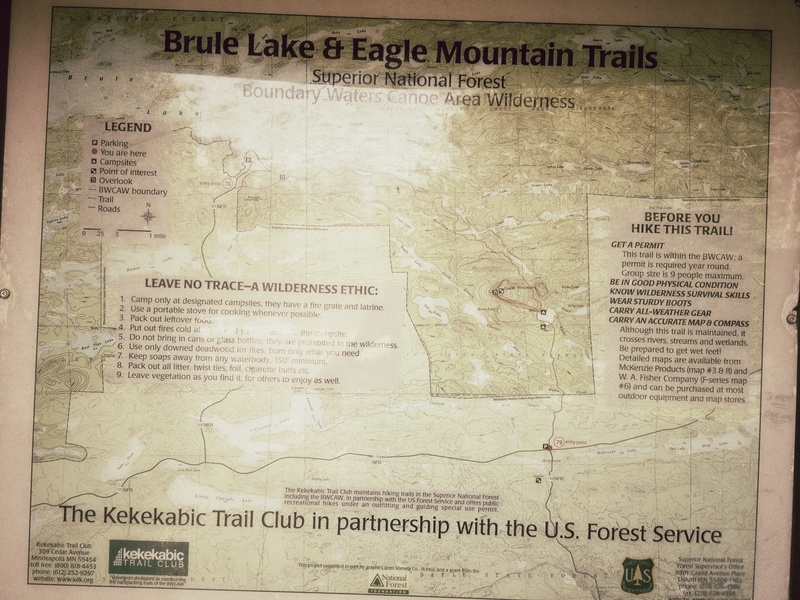 As the trail map says, leave no trace behind….only your footsteps. I have a fetish with trail signs. 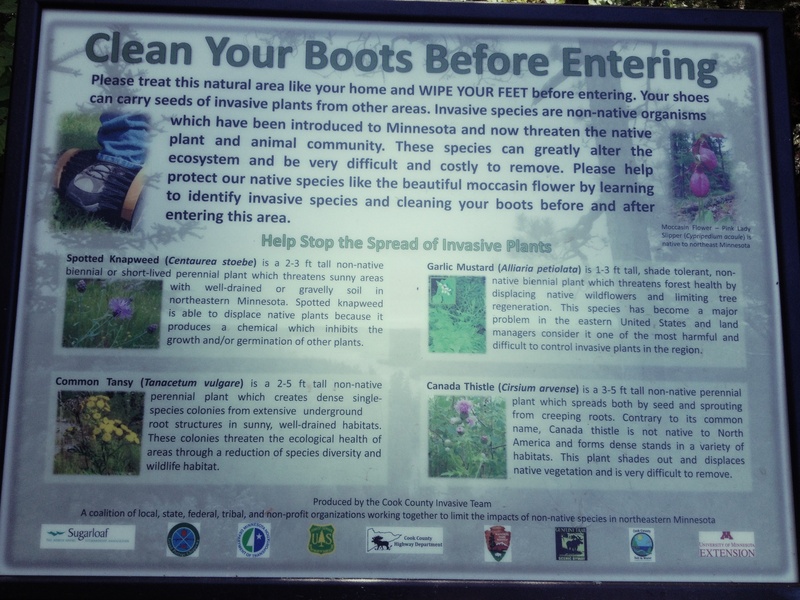 This one discusses our latest invasive species. The hike would be our second three-generational hike. Last year, my dad, me and Max all went hiking in the White Mountains to see the 500-year old Ponderosa pines native to that part of Northern Arizona. It wasn’t a real long hike but enough to give Max a taste of adventure and nature. Eagle Mountain was different. It was a real hike which involved over three hours of trekking over rocky, sometimes slippery trails with not a lot of opportunities to turn back. 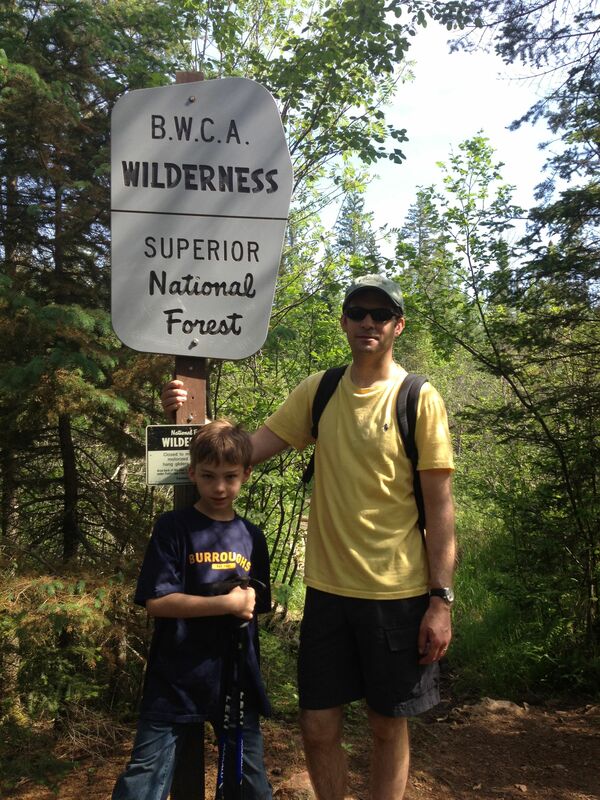 My childhood memories of the hike made me a bit concerned as to whether or not my seven-year-old son could handle it. I had remembered of course loving it yet feeling like the hike lasted forever. There were even times when my dad had to carry me on his back. 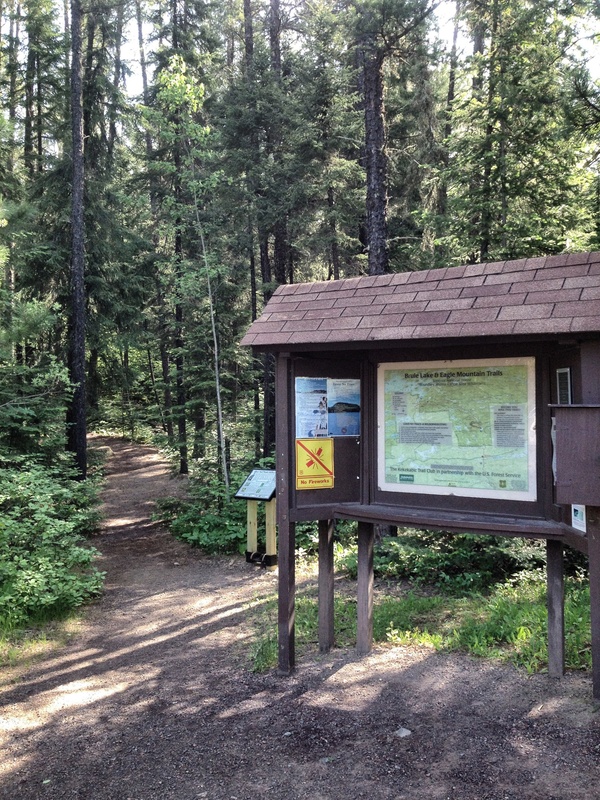 The start of the trail to Eagle Mountain, highest point in Minnesota. Trilliums line the forest floors in a magical, beautiful way capturing the innocence and purity of nature at its finest. 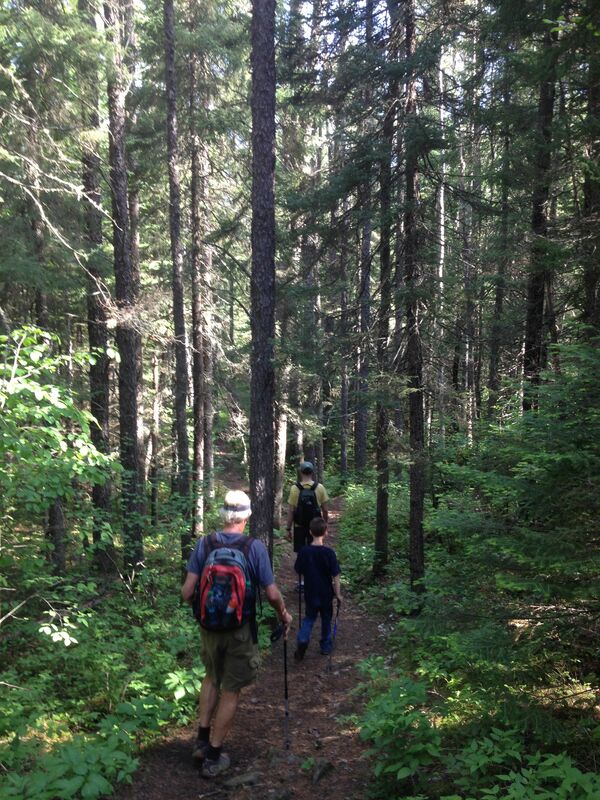 Setting off through the deep, dark woods is my husband Paul, my son Max and my dad. I lagged behind to take pictures. It wouldn’t be long before Max took over the lead, fearless and ready to take on the world. I kept looking for bears. Thank goodness we didn’t see any! Paul and Max starting a new family tradition. 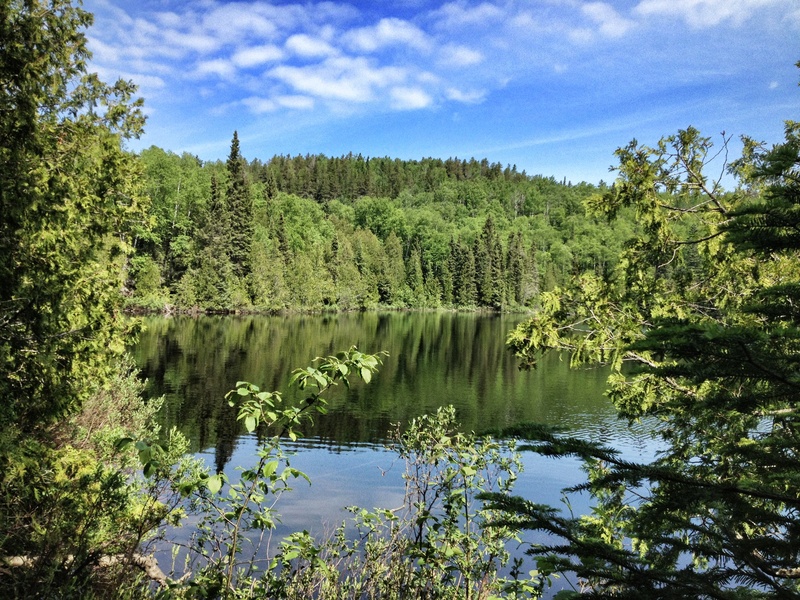 The trail meandered for an hour of so through thick, wooded forest until we reached the first sign of Whale Lake. 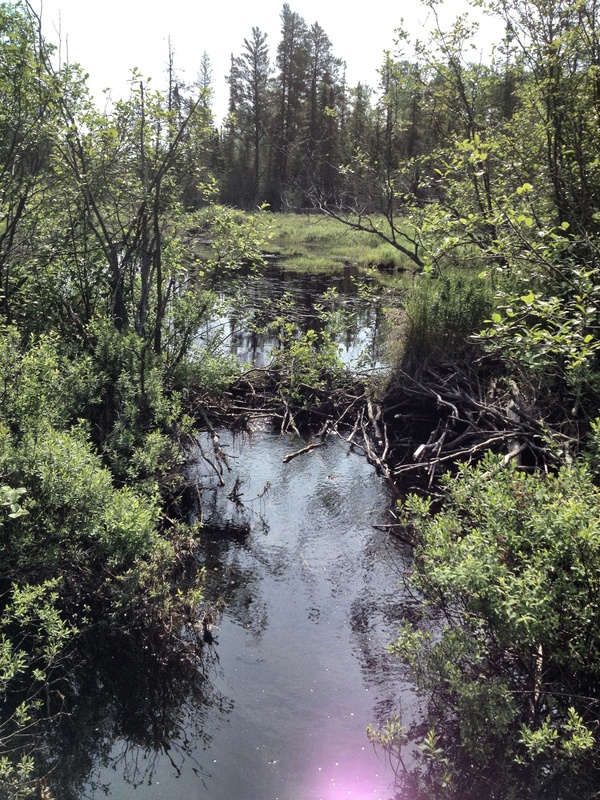 There is a beaver dam that still remains in the same place after thirty plus years! As a kid, it was always our landmark that we were close to the lake and the start of our ascent up Eagle Mountain. It shocked me that everything remained completely unchanged, even after thirty years. It reminded me of how little our existence bears on the weight of the planet. Memories pop in my head as we pass the old Beaver Dam. It was a place where we would take a break and have a snack when we were kids. Once we even saw the beaver! Not this time though. As we approached Whale Lake, my heart began to race with anticipation. Would it be as beautiful and pure as my childhood memories? Or would I be disappointed? Judge for yourself….. Stunning, spectacular Whale Lake. Wow, it takes my breath away. How can your memories of so long ago remain untarnished and untouched? Memories that no money could ever buy. Memories so valuable and dear to our hearts that they last a lifetime. Lovely view of Whale Lake looking back towards the way we came. Memories of taking our shoes off and wading in the fresh, icy cold waters filled my soul. I laughed when I remembered the time a leech got stuck on the bottom of one of the kids foot. Was it Johnny? Or was it my brother Stephen? I can’t recall yet the thirty-four year old memory lies as fresh in my head as if it happened yesterday. 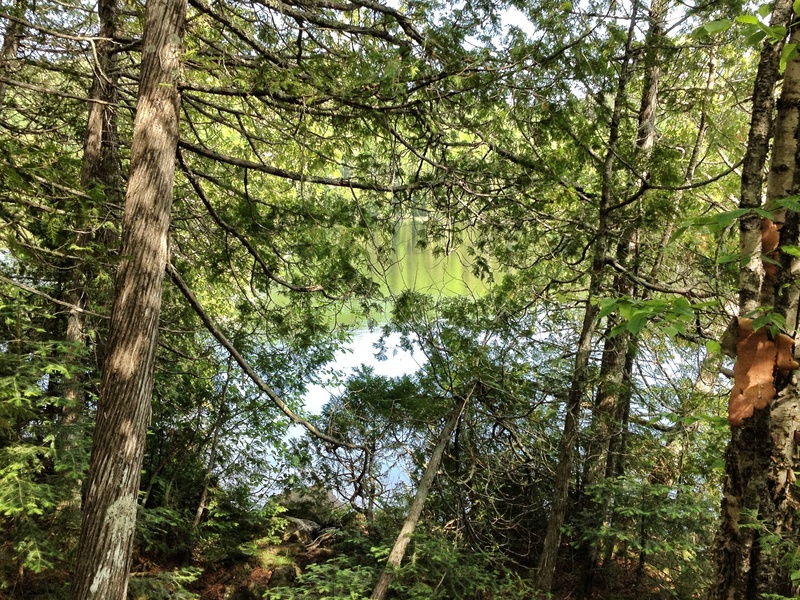 View through the trees of Whale Lake as we head towards the trail leading up to the peak of Eagle Mountain. A last farewell to Whale Lake. I sure hope it isn’t another twenty years until I marvel at your beauty. The reflection of time gone by. The memories of my childhood. The times I shared together with my family. My sister and brother laughing. My mother holding me tight. My dad encouraging. My heart beating fiercely. The sun was heating up. It was at least twenty degrees warmer here than on the shores of Lake Superior where we were staying. The last hour of the hike headed up and we were dripping wet with sweat. Max continued to amaze us by leading the way to the top, even in a pair of long pants. Once we arrived, the view did not disappoint. We could see lake after lake upon the horizon. Imagine what this would look like in fall! We continued on to that old ragged plaque. 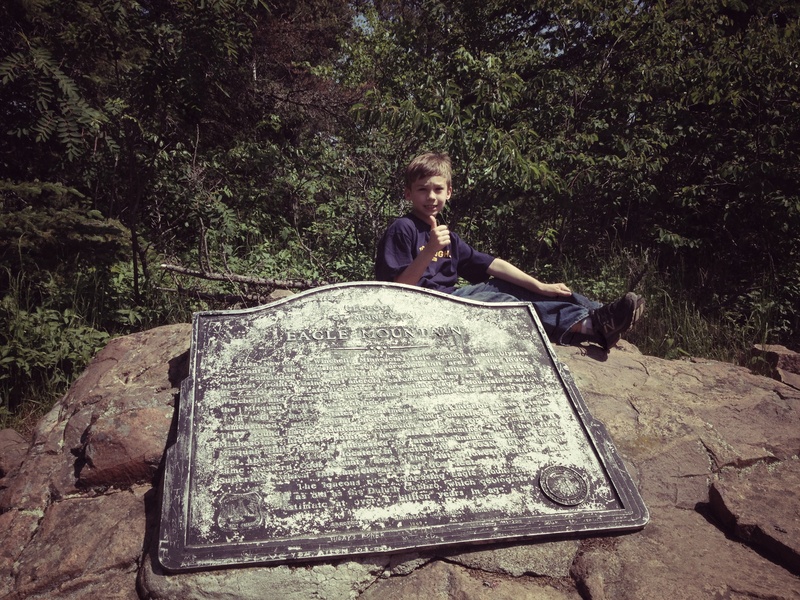 The same plaque that my brother posed on for a picture over 37 years ago…..
Max at the plaque marking the highest point in Minnesota. Age 7. I have the exact same photo of my brother over 37 years before. 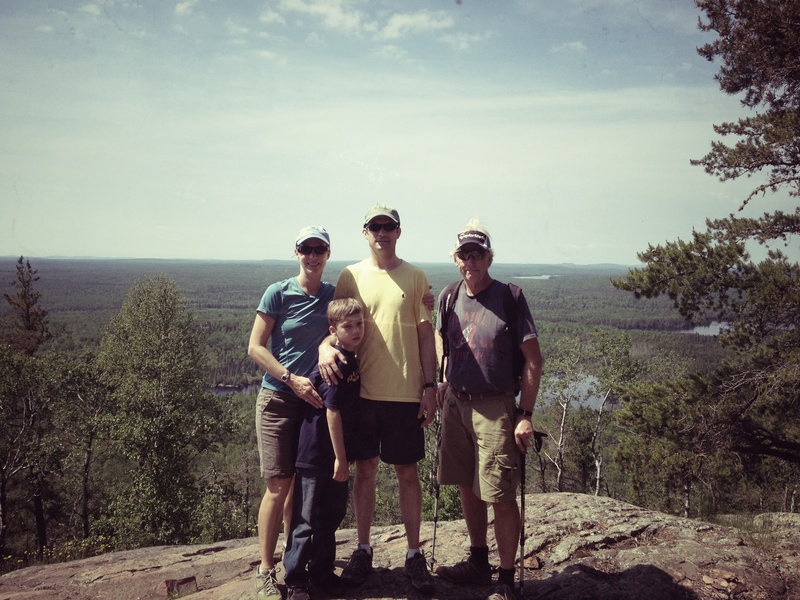 Photo of our three-generational hike. I looked at the lakes off in the distance, imagining how pure and beautiful they are. This is a special place indeed. One that remains untouched, even in modern civilization. We left no trace behind except our footprints and our hearts…. As we drove along the dusty, gravel roads back towards civilization, we noticed a pick-up truck pulled over with its passengers out. I wondered what on earth they were doing until I saw it, off in the distance. A moose. I could hardly believe it. Just that morning I was saying how in all my years of coming here I’d never ever seen a moose in the wild. And there he was, in the swamp, eating lilly pads. It took my breath away…. For me, memories are priceless. I am so lucky to have so many of them that are wonderful and filled with joy and love. Not much more could be more valuable than a happy life. To read more entries for Jacksprinter’s challenge, click here. This is absolutely beautiful. You are so lucky. 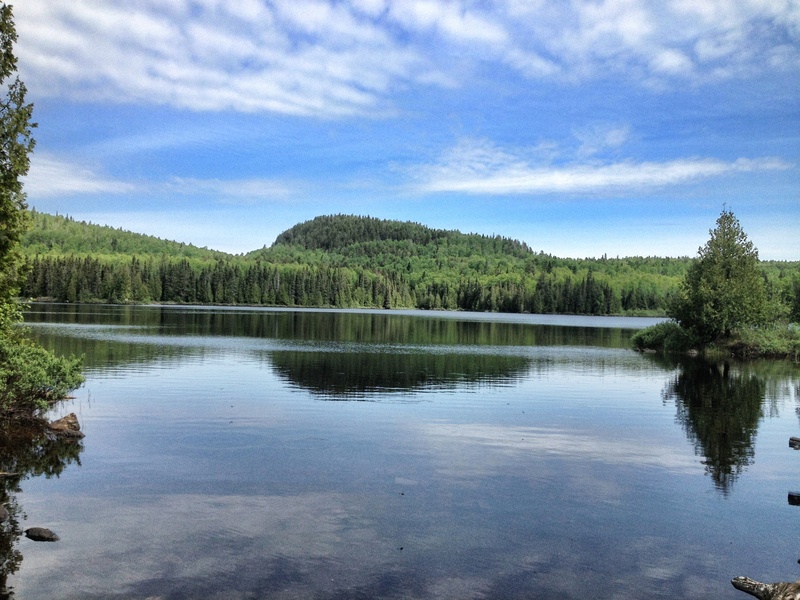 Great Post – loving your photos:) Happy Saturday! I don’t think I ever read a more valuable post. This is wonderful stuff Nicole. I well remember my own son at a similar age loving to romp along through the woods. 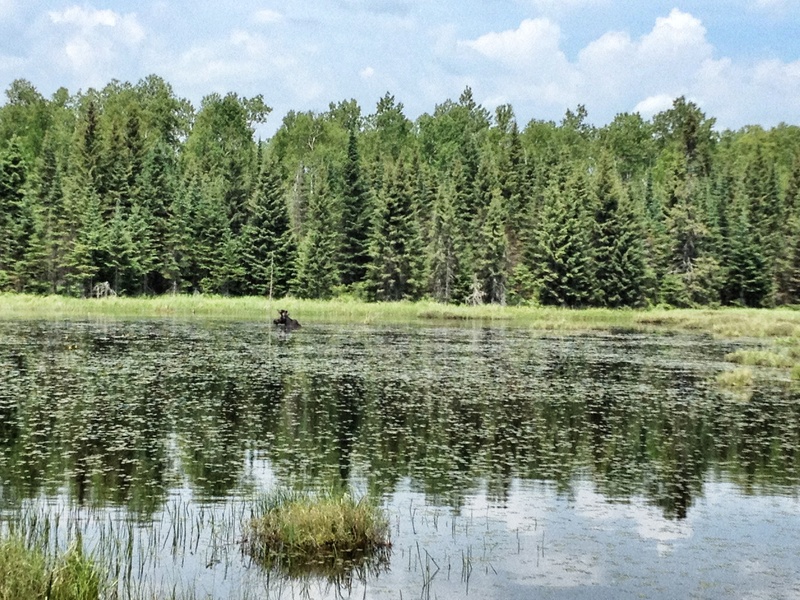 Such crystal clear waters, and a moose! Too good to be true almost. Perfect for Jake’s challenge. Thank you so much! Your comments are so flattering and make me smile! So glad you enjoyed and I’m glad it brought back memories of your son too. To see the moose was truly unforgettable. It felt like fate. I had just been thinking about how badly I wanted to see one but never had. Then there it was. Massive, beautiful and alive! Wow, it took my breath away. Thank you for the post. The photo of the trilliums really made me smile. 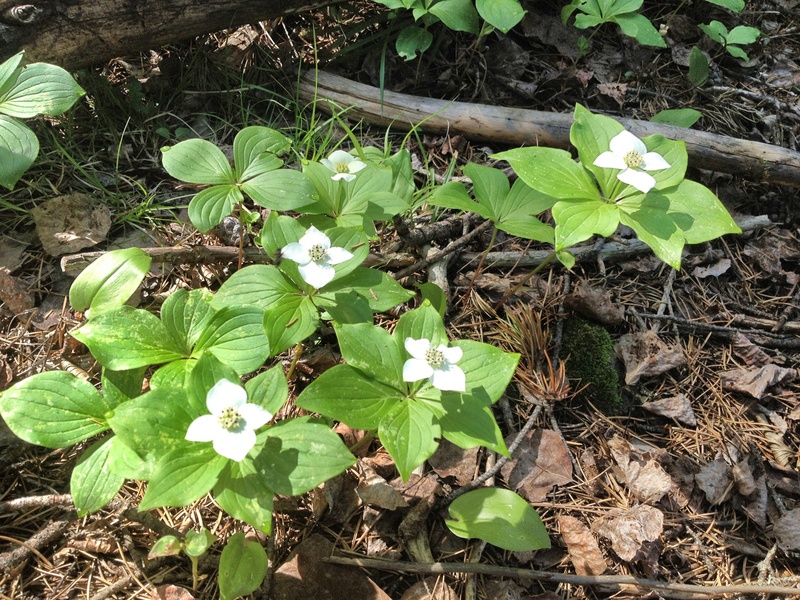 Trilliums grow wild around our cabin in Northern Michigan and to me they signify freedom and being able to be outside enjoying mother nature. What a nice tribute and reminder that we are just a small part of the planet. What beautiful prose, photographs and sentiments. Thank you for a delightful read. Thanks Jo! I hope the post showed how much this hike meant to me as a child. Going back reminded me of how much I truly love this place as well as how lucky I am to have these memories from my childhood. I hope my daughter can make it soon. She is only 5 1/2 but she is strong, determined and I athletic despite her petite build. Isn’t it funny how certain places that are so incredibly special stay with you forever? They are always there in your heart. 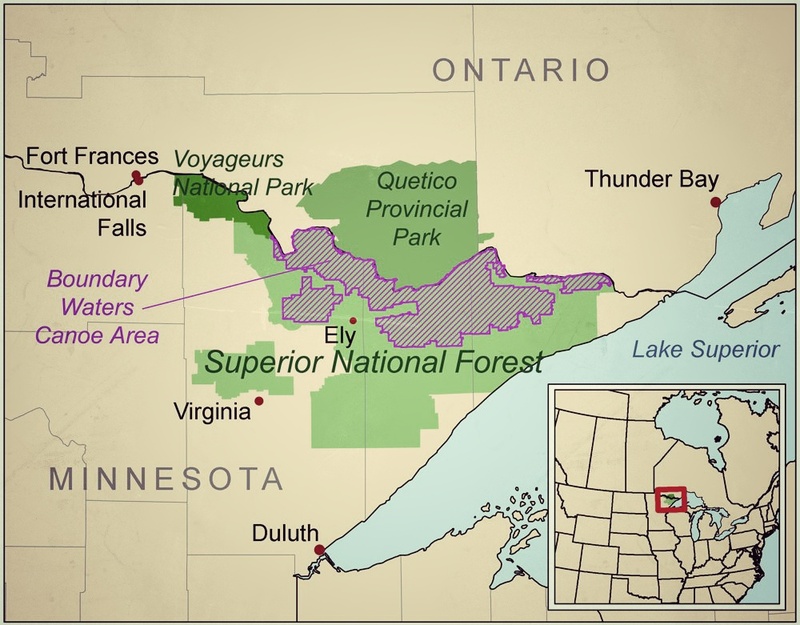 I’m heading up to Superior country in a few days. Your photos remind me of what I fell in love with all those years ago when I moved there on a whim. Gorgeous – thanks for sharing! Will have to add to my bucket list. Thanks! It is a very special place especially in the heart of the fall colors! It is magical.